Murder by Gaslight: Murdered her Mother. Mrs. Annie Brownlee and her daughter, Mrs. Mary Marean, were two widows living together in a house on Dana Street, in a fashionable section of Cambridge, Massachusetts. In the fall of 1892, both women were both unwell. Mrs. Marean had suffered from the grippe two years earlier and had never fully recovered; Mrs. Brownlee, who was nearly 80 years old was probably suffering from the effects of old age. 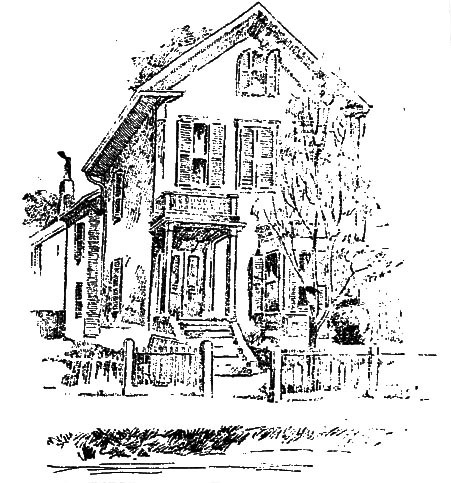 House where the murder was committed. They were her last words. Mrs. Brownlee got out of bed and as she started toward the stairway to the kitchen, Mary shoved her and she fell to the bottom of the stairs. Mary followed, and as Mrs. Brownlee lay stunned, her daughter smashed her head with a furnace shaker—a two-foot long iron wrench—until she was dead. Mary washed the blood off the shaker and took it back to the basement. Then she went next door to her neighbor, Mrs. Endicott, and calmly told her that she had killed her mother. When Mrs. Endicott realized that Mary was telling the truth, she sent for the police. Neighbors told the police that Mary had lately been obsessed with the fear that she would die first leaving no one to take care of her mother. They believed that her brain had been affected by her bout with the grippe. Mary Marean was never brought to trial. The police physician declared Mary insane, and Dr. Jelly, a Boston expert, confirmed his diagnosis. She was committed to the Worcester lunatic hospital. "A Matricide." Boston Journal 1 Nov 1892. "Awful Act of a Cambridge Woman ." Springfield Republican 1 Nov 1892. "Dr. Jelly as an Expert." Boston Daily Globe 5 Nov 1892. "Killed by Her Daughter." 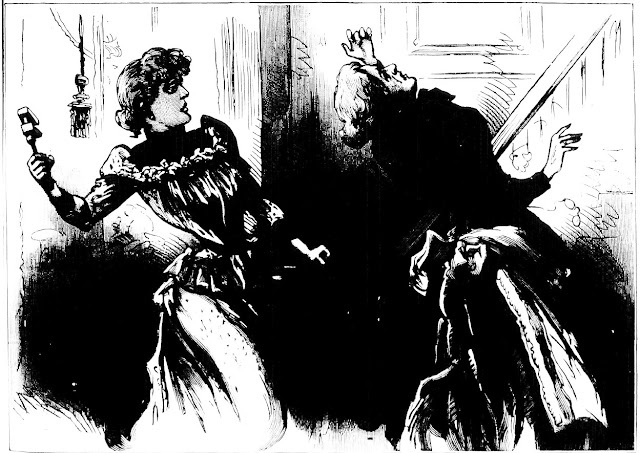 National Police Gazette 19 Nov 1892. "Killed Her Mother." Boston Daily Globe 1 Nov 1892. "Murderess Adjudged Insane." Boston Daily Globe 18 Nov 1892. "The Murder in Cambridge." Boston Herald 1 Nov 1892.